The title is a little misleading. 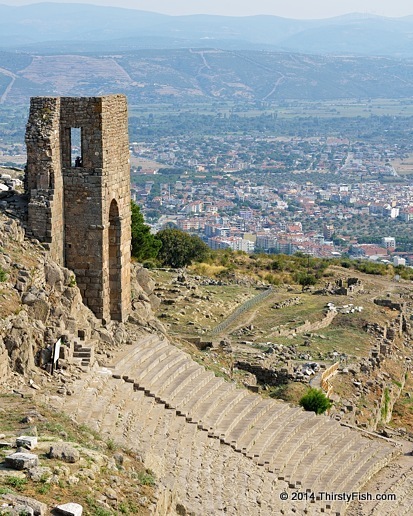 Bergama is simply the Turkish name for Pergamon. The new town lies on the footsteps of the Upper Acropolis. The Byzantine tower lies above the theater. Through the ages, Pergamon came under the control of Lydians, Persians, Greeks, Attalids, Romans, Goths, Sassanids, Byzantines, Umayyads, Seljuks and Ottomans.